Back in November, I announced that I would have a contest on my facebook page to end all contests. When I got 500 fans, I said, I would let everyone "nominate" their choice of a new CraftyisCool design. 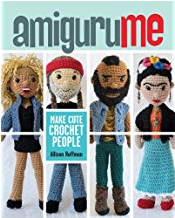 When all the submissions came through, I would choose ten that were best suited for amigurumi and that I thought fit in with my other designs. 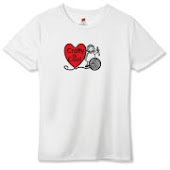 Each would be sketched out, listed on my fan page, and voted on by CraftyisCool fans. 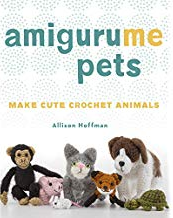 The winning design would be turned into a CraftyisCool pattern, and the finished toy would be gifted to the person who came up with the idea. The results are in! After counting up all the votes (OK really I had just had to look and see which had the most "likes". There was no counting involved! 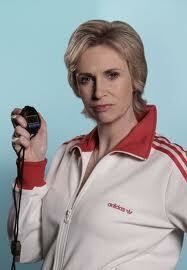 ), the clear cut winner was Sue Sylvester from Glee ! That means that Jennifer Williams will be receiving her own Sue! Congratulations, Jennifer! 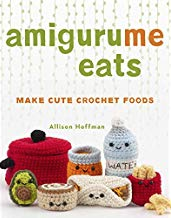 When the pattern is finished, I will be making it free for a limited time with a $10 or more purchase from either my Etsy shop or my Ravelry shop. In other news, before Christmas, a friend of Parker Jacobs, an absolutely AMAZING artist and the art director for a little show you may have heard of, Yo Gabba Gabba (! ), decided he needed a mini-me for an extra-special Christmas gift! Who doesn't?! So she ordered him a little Parker, complete with props, sunglasses, and a hat. He's in a 60s spy-themed band called GOGO13 and plays the ukulele, so naturally his little yarn-self plays one too. Did you know Parker's cool trick is baking special birthday cakes ? He was thoughtful enough to send me this awesome photo! They look alike, right?! In my family, there's lots and lots of boys and they all share a common interest: Star Wars. So I thought I'd heard of all the characters, knew all the story lines, but when my nephew turned 16 and I asked him what he wanted, he named someone I had to look up: Grand Admiral Thrawn. Apparently he's a somewhat obscure character that first appears in a series of books by Timothy Zahn. 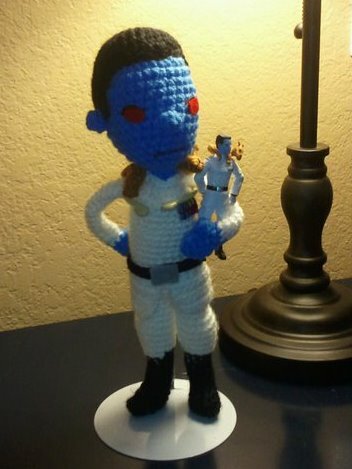 After lots of Google image searches I came up with a little Thrawn that my nephew thought was pretty great. So you're all watching Conan right? 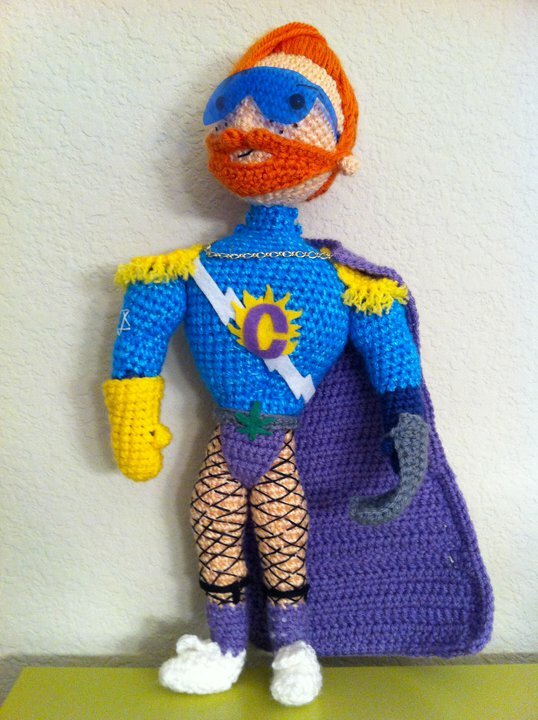 You've seen "The Flaming C", his superhero alter-ego? I have been making lots of Conan dolls but I definitely needed to make a Flaming C. Here he is! One last thing: Are you all subscribed to the really fun Lion Brand newsletter, Yarnplay? Every month this newsletter comes with more fun patterns than the last! You should really subscribe. Really. So..Click here and SUBSCRIBE! These are really great. I think that all of the ones that you have made so far are brilliant, but i have to say that the Sue Sylvester one from Glee has to be my favourite on so far!